The junior rowing season culminates each year in the British Rowing Junior National Championships held on the 2000m purpose built lake at the National Water Sports Centre, Nottingham. 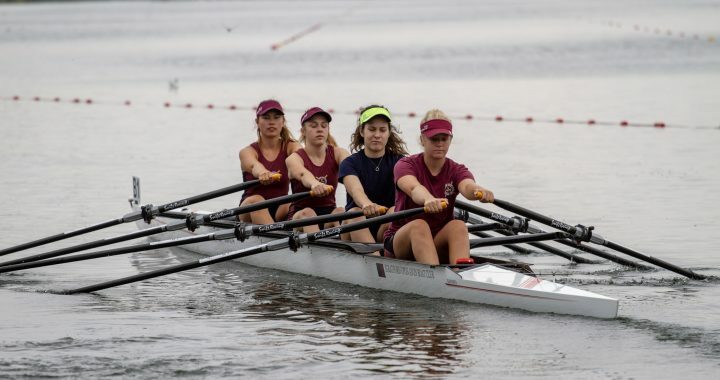 The event held over three days represents the last opportunity for junior athletes to compete on the national stage after a year of training hard. Day One saw the Stratford J14 squad competing in the Omnium event, a test of their skills and boatmanship. The day began with an initial time trial over 1000m in coxed quadruple sculls to determine placings for the finals later in the day. This was then followed by the Omnium in single and double sculls. In the individual event, Amelie Sartain secured right place from ninety one competitors followed by Elisabeth Edwards. 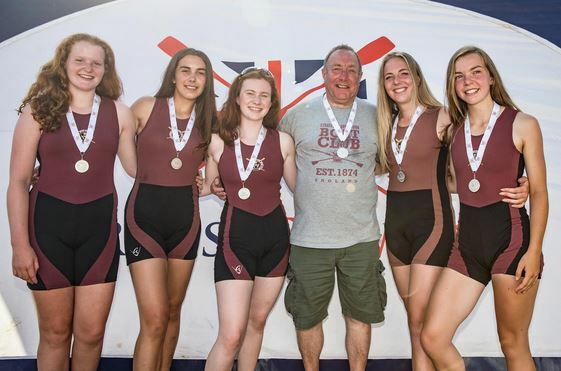 Martha Usselmann and Sienna Rawlings took twenty seventh place in the doubles event, closely followed by the pairings of Harriet Hodgson and Sophie Elstone and Abbey Meggeson and Emma Harrison. The morning time trails resulted in the coxed quadruple scull of Amelie Sartain, Harriet Hodgson, Sienna Rawlings, Sophie Elstone and Mary Walton (coxswain) being placed in the C final whilst the crew of Abbey Meggeson, Elisabeth Edwards, Emma Harrison, Martha Usselmann and Rebecca Parkin (coxswain, on loan from Evesham Rowing Club) unfortunately missed a finals place by only 0.7 of a second, approximately 25cm over a distance of 1000m. After a long, hot, tiring, yet very enjoyable day, the races resulted in an overall position nationally of eighteenth place for the finals squad. 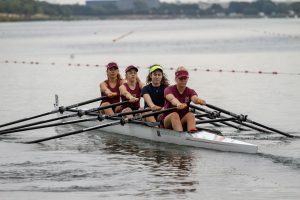 Days Two and Day Three followed the more usual regatta format where J15 and upwards crews raced side by side over the full 2000m course. 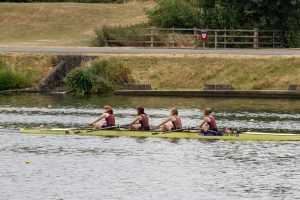 First to go where the J15 coxed quadruple scull of Jasmine Mountney, Nixie Brunt, Mili Wilcock, Maiya James and Naomi Sergeant (coxswain) recording twenty third in the time trial of over forty crews competing and twenty fourth overall at the close of the regatta. Next up was Fred Tyler in the J15 single scull with a strong showing in the time trial finishing sixteenth. 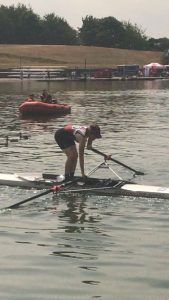 In the regatta format competition Tyler went on to improve his ranking to fourteenth overall from the forty scullers competing, a great performance and one that shows promise for next season. 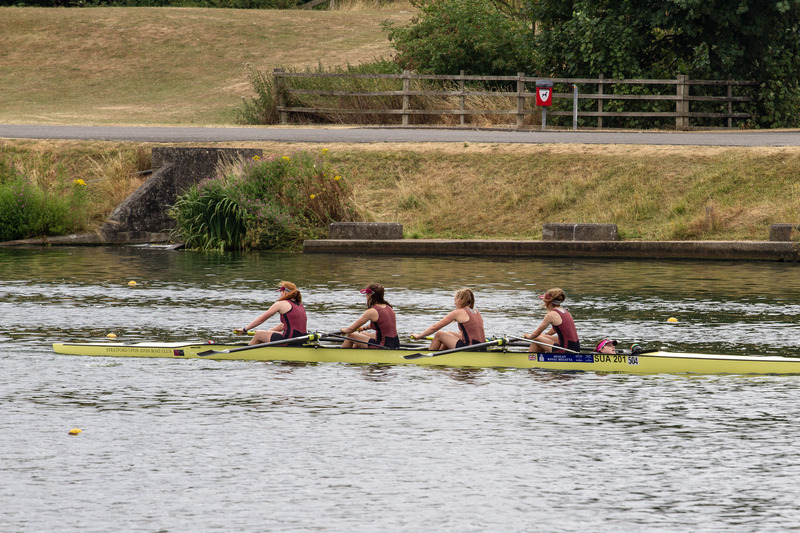 The final J15 crew competing was the women’s double scull of Mya Kenny and Alice Baines. 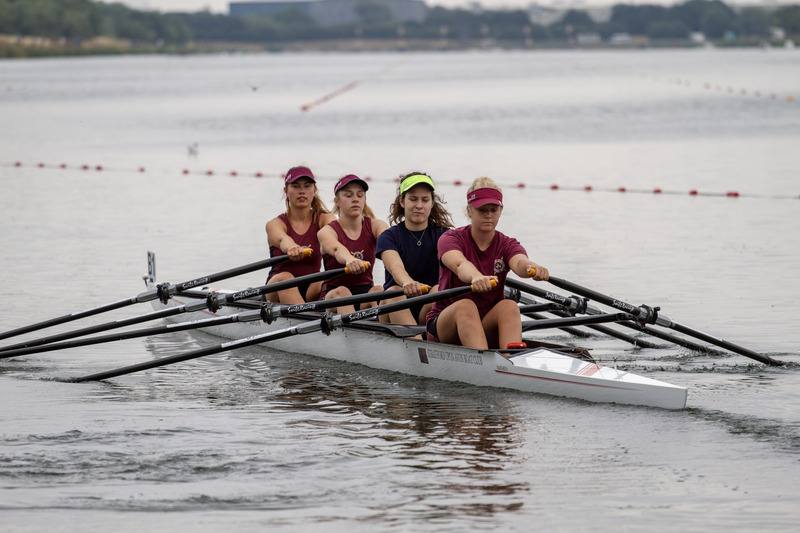 Highly motivated from training the pairing opened well with eighth in the time trial with a time sufficient to put them in the top three at J16. 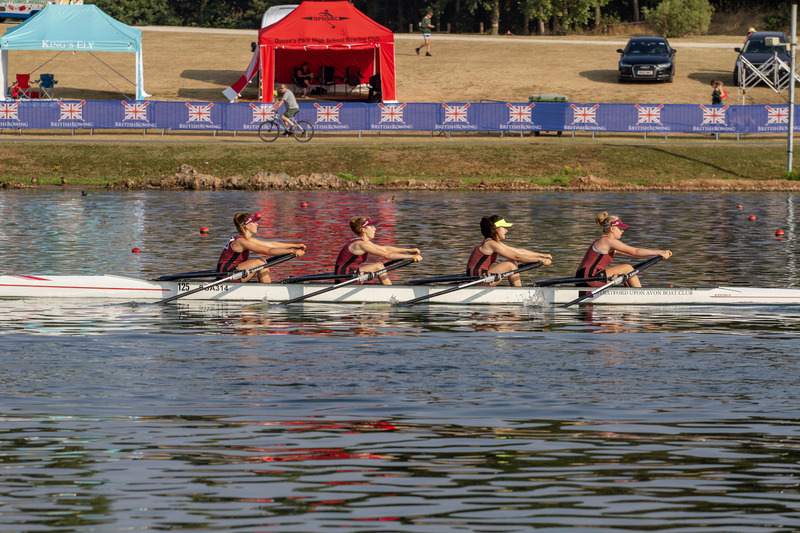 Then on to the regatta format finishing the day second in the B Final and eighth overall. A highly creditable result. 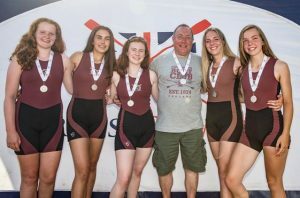 Posted in News and tagged Andrew Roe, British Rowing National Junior Championship, Dr Graham Collier, exercise, rowing, Sam Hill, Silver Medals, Trevor Tiller, WJ16. 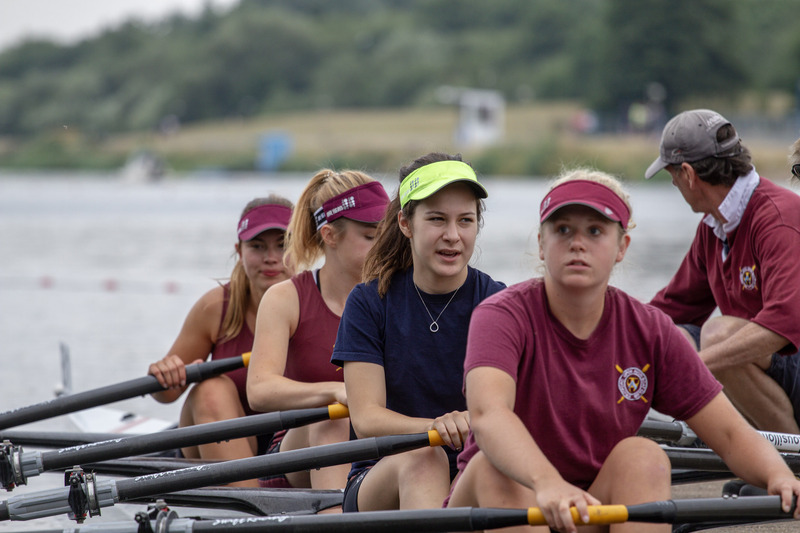 ← Another Colourful Fun Regatta!